Believed to be the centre of the ancient world, The “Navel of the Earth”, because when Zeus released 2 eagles, one flew one way and the second the opposite way around the world and they met and landed at Delphi. 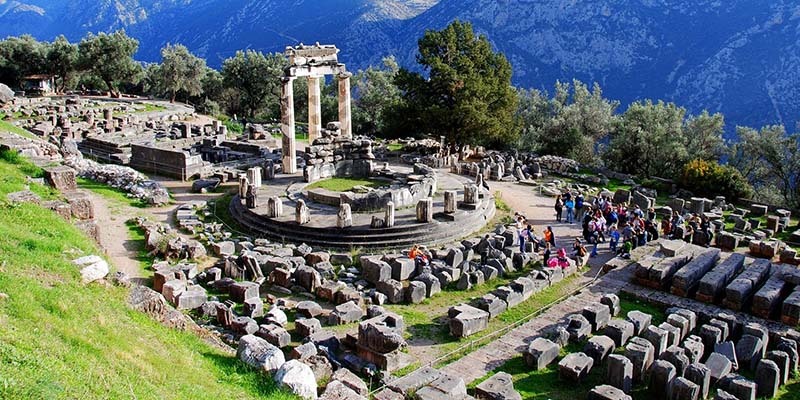 In a truly majestic setting on the slopes of Mount Parnassus, where Apollo lived with the 9 Muses, Delphi was a sacred site dedicated to the sun god Apollo. 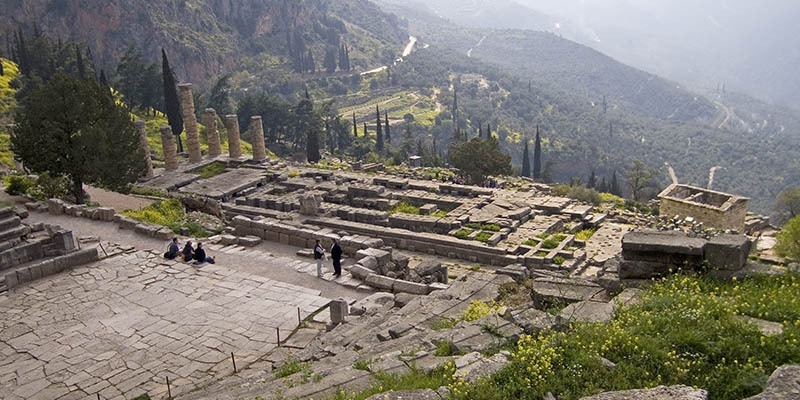 Presided over by the high priestess, the oracle at Delphi was renowned for its prophecies and visitors came from far and wide to consult the Oracle, all bringing rich gifts. 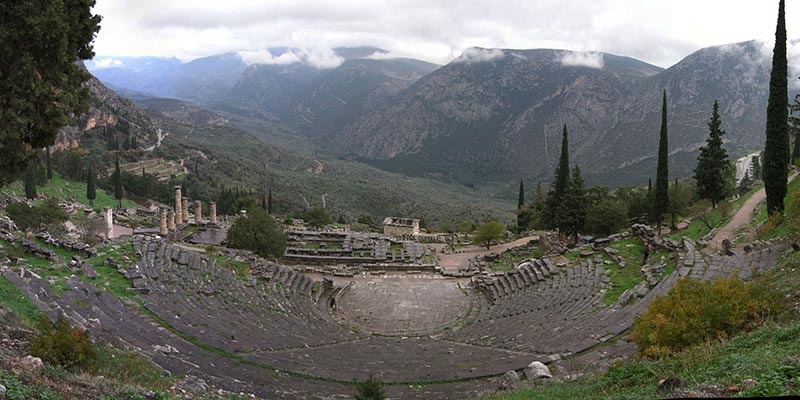 Thus Delphi became the treasure house of Greece and the treasuries can be seen today on the slopes below the temple and the theatre. Also the site of the Pythian Games, held every 4 years, the gymnasium and training areas are well preserved. 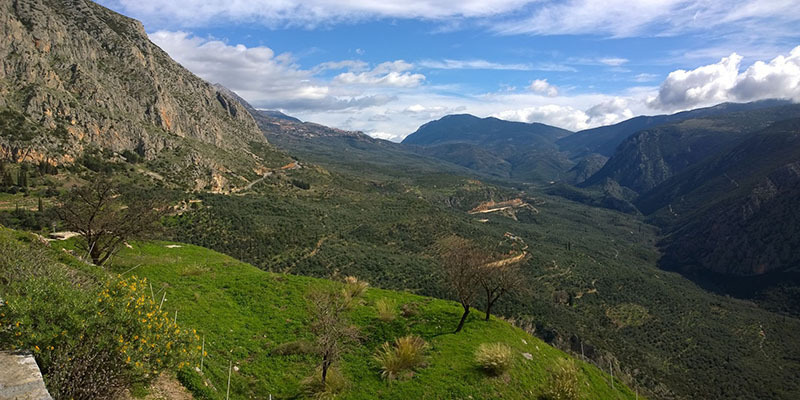 The road to Delphi takes us into the mountains to a height of 3,000 feet and the mountain village of Arachova, famous for its flokati rugs and furs and in the winter is a famous ski resort. 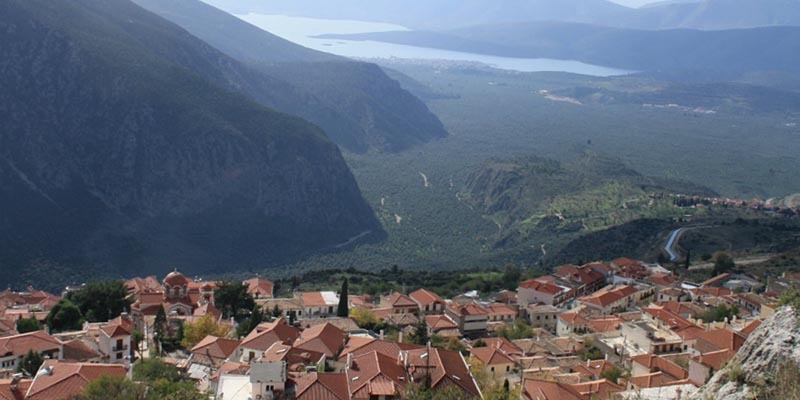 Delphi itself is located 1,000 feet lower overlooking the Corinthian Gulf and on a clear day from the top of the ancient site you can see across to the Peloponnese and all the way to Athens itself.